Who teaches the information skills, Ms Gillard? I have just sent the following to Bishop, Smith, and my local candidates – well the one that has put his hand up so far!!! ability to communicate ideas and information, to plan and organise activities and to collaborate with others”. In other words, our students need to be information literate. *interpret and evaluate what you find and use it effectively and efficiently to meet your needs. A leading international educator has stated “Information is like crude oil. Crude oil contains potential value, but it needs to be refined to be of real value and the more refined it is the more valuable it is. The process of refining is expensive but the end product is valuable enough to pay for the refining. Another fears that elections will be won by those who have the best PR teams producing the slickest media campaigns rather than the best policies for the nation. 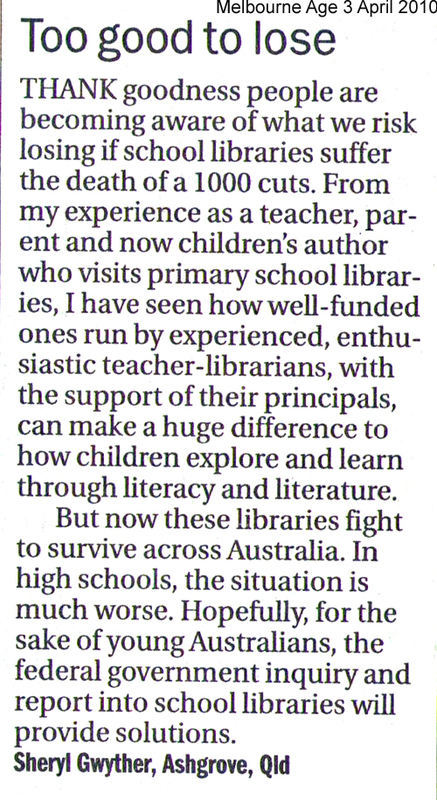 Why then, are teacher-librarians, the information specialists in schools, becoming such an endangered species in this, the Information Age? authorities of the need for a qualified information management professional in every school at all levels. 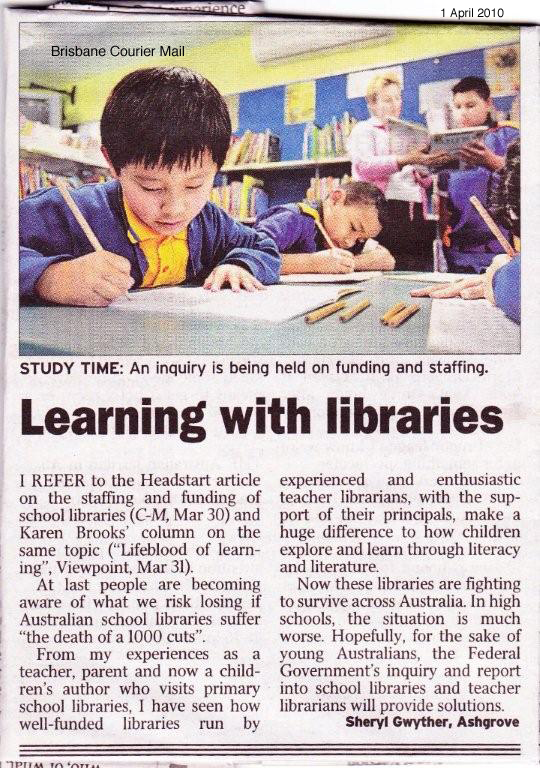 This is particularly curious when there is so much research, including an Australian study, which shows the correlation between well-staffed and well-resourced school libraries and student achievement. to achieve the outcomes stated in the National Goals?